You love the way your professionally cleaned Oriental or specialty area rug looks when you get it back, right? So…why wouldn’t you want to make that look to last as long as it can? 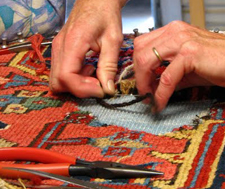 By adding Scotchgard™ to your rug cleaning order you can preserve that fresh & clean look a lot longer. 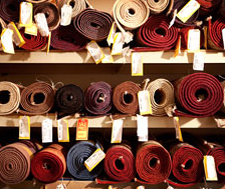 Ask your rug specialist about our professionally applied Scotchgard™ rug protection. Scotchgard™ delivers its patented one-of-a-kind protection by forming a molecular shield or barrier around each and every rug fiber. This shield reduces the surface area of the rug fibers which causes them to repel liquid, dust and dirt. This also prevents dirt and stains from being ground into or absorbed by the fibers. 3M Scotchgard™ uses proprietary technology to give more repellency than any other carpet or rug protector formula on the market. It repels almost all liquids, which allows accidental spills to be removed rapidly before staining and/or wicking can occur. 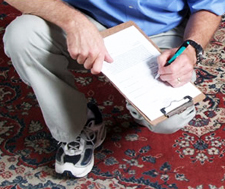 Dirt and stains love clinging to untreated rug fibers, which spread quickly and become embedded in the fibers. Our professional Scotchgard™ application keeps dirt from sticking to the fibers, which always makes rugs easier to care for. 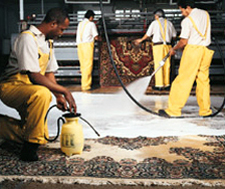 Scotchgard™ performs the best when professionally applied by your rug cleaner, which has all the right equipment. It is professionally and evenly applied by our spray applicator, dries quickly, and leaves absolutely no odor. Most importantly, it is non-toxic and safe to use around family and pets. It is also Chlorofluorocarbon (CFC) and solvent-free. 3M recommends the application of Scotchgard™ after each cleaning on any rug fiber types. With a professional application of our Scotchgard™ rug protector, you will have the assurance that your rug is protected with a premium quality product. 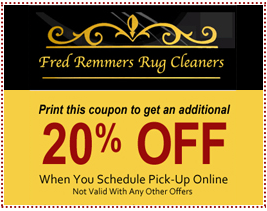 The next time you have your rugs professionally cleaned at Fred Remmers, be sure to ask us for the Scotchgard™ rug protector. Get in touch with us to get started!